Sun Boss has specialized in second story additions, sun room and deck alterations since 1947. 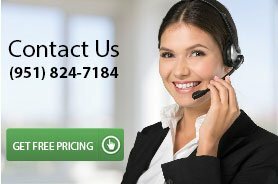 We are the go to company in Southern California for professional and reliable second, third, and even fourth story additions. All phases, from design to drawings (plan and elevation views) on into engineering and permitting is managed by Sun Boss. Due to our years of knowledge and understanding of the siesmic and lateral issues typically associated with building above levels, we get the hard to permit projects permitted! View our Gallery. From the very moment we step on your land, our design experts will supervise every aspect of the project, ensuring the project’s on-time completion and compliance with budget. For homeowners in Riverside, Palm Springs, San Bernardino and Riverside, CA who do not know where to get started, contact Sun Boss now and schedule an appointment for a free in-home design consultation. This free service will allow you to hear the expert insights of our designers who have won awards year after year for their design services on projects right here in Southern California. If you are a Southern California homeowner with limited land but need more square footage, a second story addition could be what you need! Our expert design team can help, contact Sun Boss today! Sun Boss has specialized in second story additions, sun room and deck alterations since 1947. We are the go to company in Southern California for professional and reliable second, third, and even fourth story additions. All phases, from design to drawings (plan and elevation views) on into engineering and permitting is managed by Sun Boss. Due to our years of knowledge and understanding of the siesmic and lateral issues typically associated with building above levels, we get the hard to permit projects permitted! Contact us today for more information. Build-up and Add Equity to Your Home! Depending on the situation, adding a second story room addition can sometimes be less expensive per square foot than building out. This is because there is no need to spend on adding additional foundation. When families in San Bernardino, Riverside, CA, Riverside and Palm Springs outgrow their homes; when your sons and daughters have all grown up; or when you just decide to improve your surroundings, you may think of adding additional floors to your house. Looking for specialists to help with your Second, Third and Fourth Floor Additions? Leave it with Sun Boss. Sun Boss has award after award for many second, third and fourth floor additions. Sun Boss has years of specialization and understanding of all height restrictions, and how to maximize the view and enjoyment factor using Sun Boss’ incredible designs and layout services. Sun Boss understands all the codes and structural issues that most contractors do not or may not want to deal with. In the past years, Sun Boss has been able to give beachfront homes from Long Beach down to Riverside, CA more views with 2nd, 3rd and even 4th story additions. We’ve also created two and three story dream houses from San Bernardino to Cathedral City that capture complete 360 degree views from their roof top rooms and deck areas. Furthermore, Sun Boss is the go to company in Southern California for additions involving as much glass as possible to capture the magnificent views and vistas associated with coastline locations like Huntington Beach, San Clemente, and Oceanside. We have a thorough understanding all coastal issues relating to the coastal commission as well as dealing with the sensitive canyons along California’s coastline. 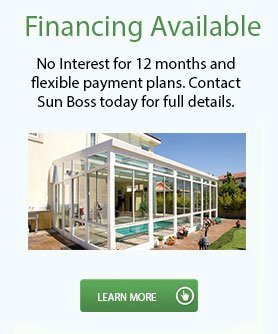 Room additions and entire floor additions that many companies could typically only offer a small view due to seismic requirements, Sun Boss is able to offer walls of glass in many cases, allowing you to live outdoors inside a Four Seasons Sunroom.